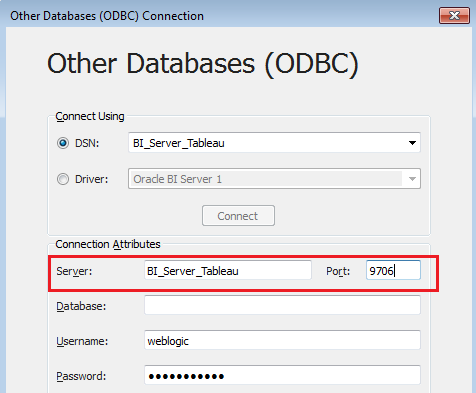 Important: Tableau does not support or test third-party ODBC data sources like Oracle BI Server ODBC. Beginning with version 8.2.3, Tableau has made some important stability enhancements for unsupported third-party ODBC data sources such as Oracle Business Intelligence (BI) Server or Oracle Business Intelligence Enterprise Edition (OBIEE). Connecting to data sources by using the Other Database (ODBC) option now provides a more capable and reliable connection. OBIEE client to be installed to Open RPD using Admin Tool and make necessary changes to support this integration. 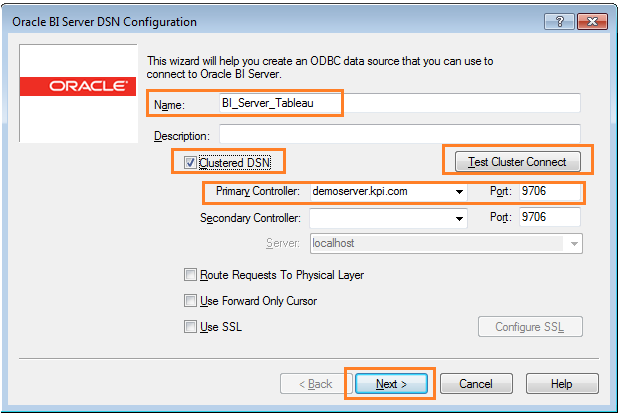 Make sure you have permissions to create DSN for OBIEE server and server is reachable from the machine if connecting to remote machine. 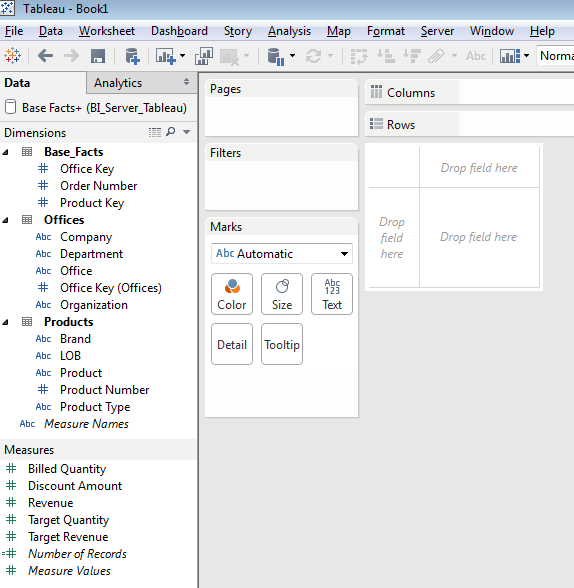 Tableau Desktop to be installed to connect to OBIEE Server DSN to make use of SA’s as data source. The whole point of making the changes as described below is to allow Tableau to make joins between tables as we do in the physical layer. 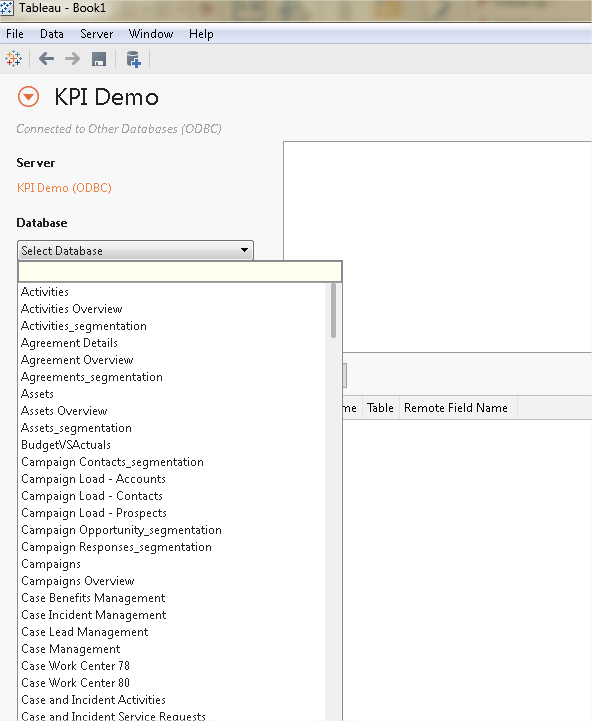 Before accessing subject areas built on RPD in Tableau using ODBC, a few steps need to be taken in RPD using the OBIEE admin tool. Open RPD Offline or Online. If the changes are offline, deploy the RPD to make sure the changes are available for Tableau when accessing using ODBC connection. 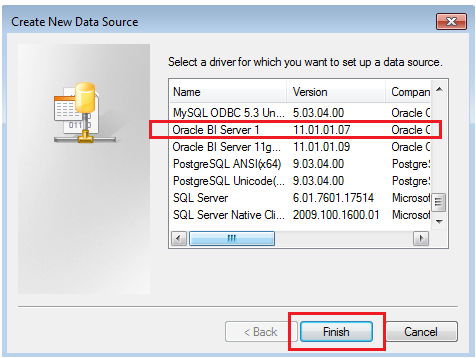 To establish an ODBC connection to the Oracle BI Server for accessing RPD Online, you must install a copy of the Oracle Business Intelligence Developer Client Tools (available on the Oracle website). After installing the client, follow the steps below to create a database source name (DSN). In Windows, open Run dialog box. Enter a unique name for the connection which we will be using in both OBIEE and Tableau. Select Clustered DSN, for Primary Controller use the IP or Server host name hosting BI Server. For Port, enter the port number connecting to BI server, default values (9706) will work unless OBIEE is installed with custom Ports. Confirm with the OBIEE administrator for correct details. Click Test Cluster Connect to test your connection. Once successful click Next. We can also use it without checking Clustered DSN as it enables Server Tab and we can enter the server name hosting OBIEE. 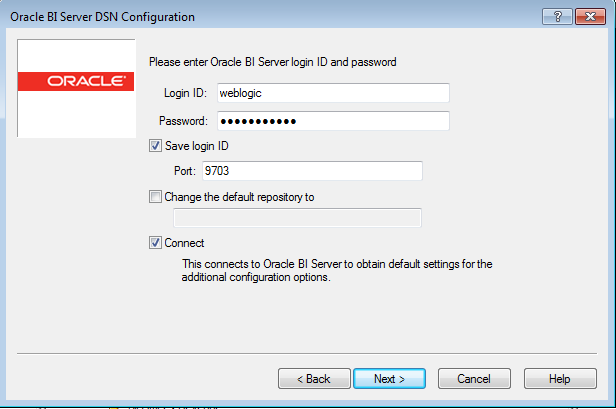 Click Next and enter Login ID and Password to connect to BI Server with Port as 9703 (cross check BI Admin for BI server port number if not default ports). Set Default Subject Area to “Sample Sales Lite” and click Finish. Important: You must select the subject area that you want to connect to in each ODBC connection you create. 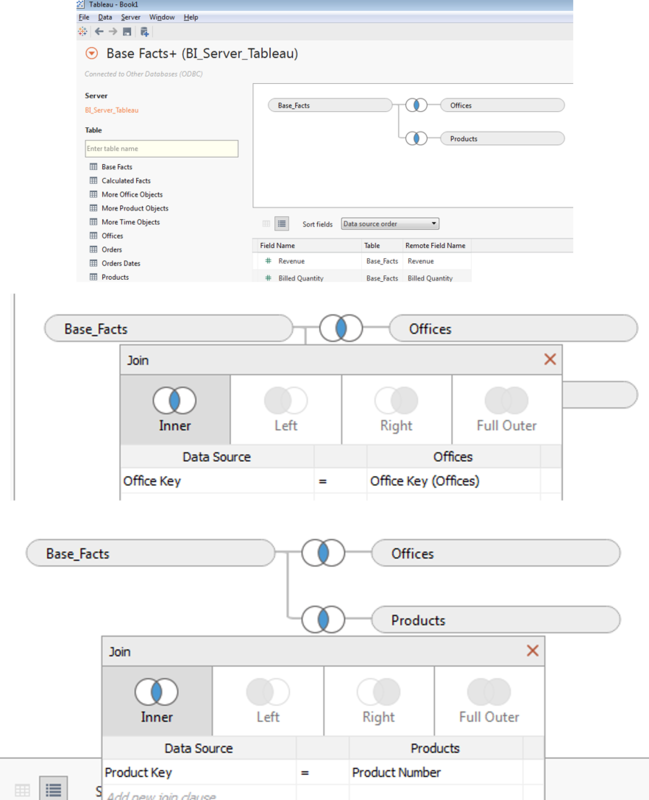 For example, if you want to connect to four subject areas, you need to create one ODBC Connection to each subject area for Tableau. Because all presentation tables in the SA will be listed as a set of tables in alphabetical order instead of grouping them into SAs. Below is a screenshot of the same in case of multiple SAs in RPD. To avoid this, we have to create individual DSN’s for individual SAs. Physical Layer (right pane) — the layer where the connection to each data source is made and the raw tables are exposed. Joins across tables are done at this layer. Business Layer (middle pane)—the layer where data modeling and logical relations and hierarchy creation will be done. Presentation Layer (left pane)—the layer that is exposed to the business through “subject areas.” These subject areas are neatly modeled to expose data in an easy to understand format. In Tableau, you will connect to the tables in the presentation layer only as data sources. As shown in above screenshot, if we want to create reports in Tableau using the Sample Sales Lite Subject Area exposed in Presentation Layer. 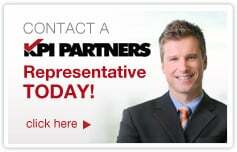 Suppose we need a report Total Sales by Product and by Time and By Office. 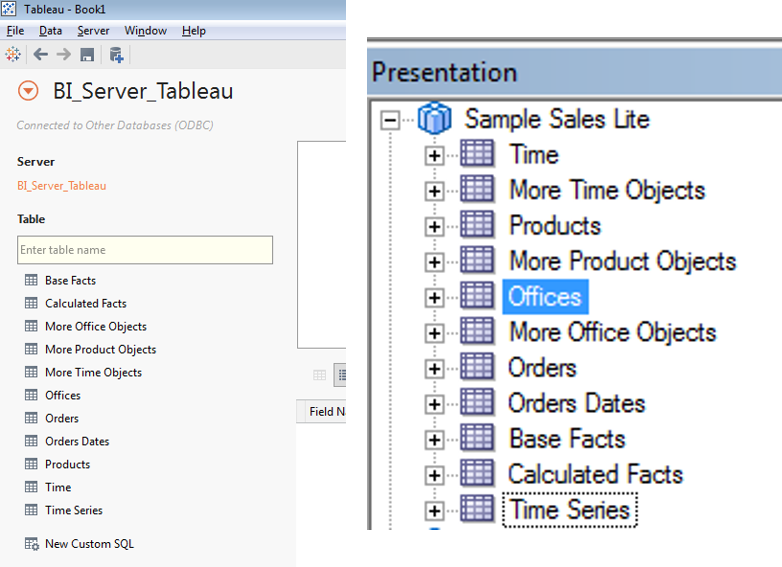 We need to make a join with Time, Products, Office & Sales Fact Table in Tableau. To make a join between tables, we need Key columns (Primary Keys in Dimensions and Foreign Keys in Fact) also be exposed in BMM and Presentation Layer. 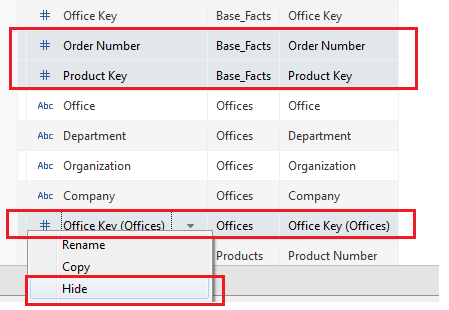 Expose the above mentioned Key columns to respective logical tables in BMM layer. Do not expose if any of them already exposed, as Primary Keys will be exposed to Logical Tables as part of Design. Need to take care of exposing foreign keys in fact table. Expose the same keys to respective Presentation tables in presentation layer of “Sample Sales Lite” Subject Area. In the above code, version is very important, change the version as your Tableau desktop version. In my case it is 9.3. Important: Tableau does not test or support .tdc file Use a .tdc file only to explore or occasionally address issues with your data connection. Creating and maintaining .tdc files requires careful manual editing, and there is no support for sharing these files. 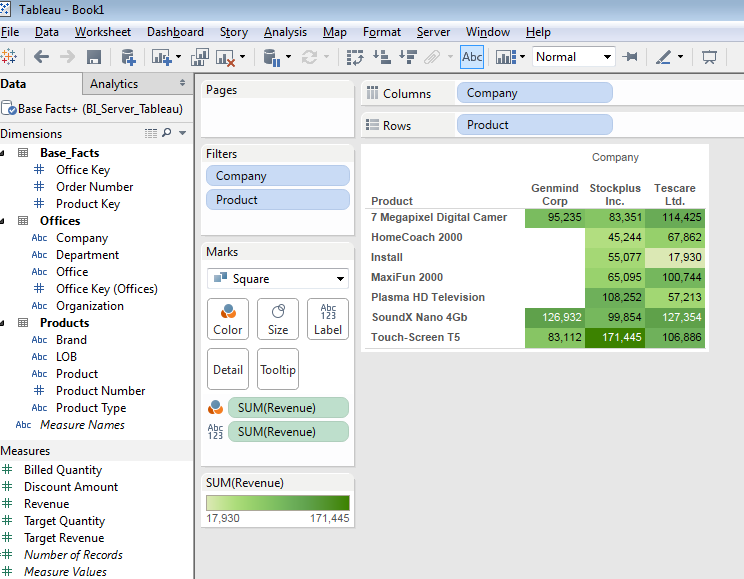 Open Tableau Desktop, click Connect to Data Sources -> select Other Data Sources (ODBC). In the DSN tab, select the “BI_Server_Tableau” DSN that we have created. 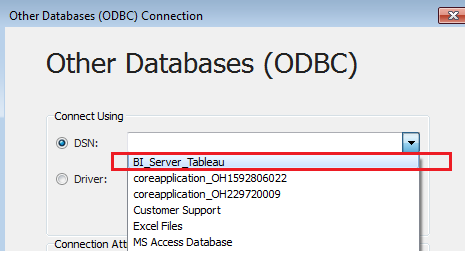 Provide login details to connect to BI server to connect through ODBC connection and import tables available in RPD Subject Area into Tableau as data source. Provide Connection attributes once enabled. Provide any name for server and port as 9706, same as port we provided while creating DSN. Once the connection is made, we can see the list of tables available in Sample Sales Lite presentation layer in alphabetical order. Drag the tables to make joins as needed using Key columns available in the presentation tables. We are good to go and create reports based on the available joins. Click on Sheet1 in Tableau. 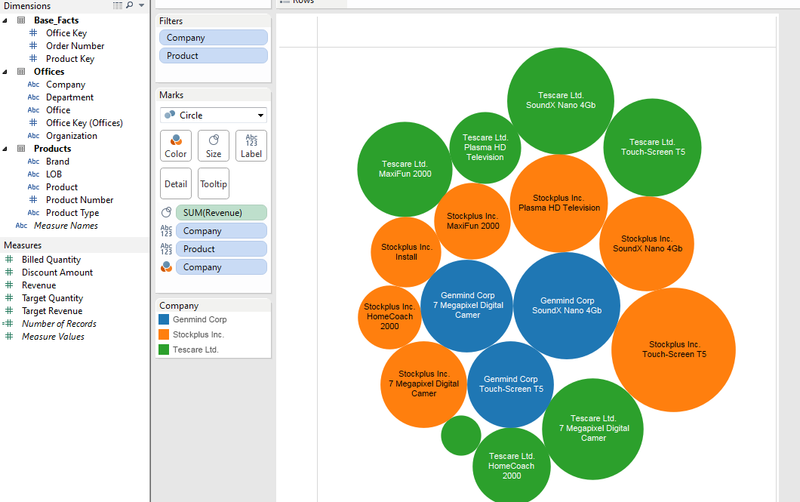 We can hide the Keys that are exposed in presentation layer in Tableau. Select the key columns and right click Hide. As expected, all columns will be arranged on respective tables and all measures will be placed in Measures in Data Tab. Create a report by dragging columns from Product, Offices and Measure columns. Note: Most of the features can be availed – Tableau does not support any issues with this connectivity.